Basking in the glory of a record-breaking summer, it can be easy to forget that there were moments last winter when we were breaking records of an altogether different kind. In January of 2018, newspapers (backed by Government statistics) reported that three times as many people were dying of flu than in the previous year. According to the Government’s annual flu report for winter 2017-2018, the UK experienced a high number of peak admissions of influenza to hospitals last year, with higher rates than the past six seasons. As well as the high incidence of flu, outbreaks of respiratory illness were also up on previous years – particularly in closed settings such as care homes, schools and hospitals. In the period between the latter part of 2017 and early 2018 there were 2,095 acute respiratory illness outbreaks in closed settings (compared to 1,114 in 2016 to 2017). When faced with a cough or cold, the instinct for many of us is to keep calm and pack the tissues. A report published in May by the Chartered Institute of Personnel and Development found that 86% of the 1,000 organizations surveyed said employees came into work when they were ill (dubbed ‘presenteeism’), up from only 26% in 2010. However, far from being a good thing for business, this can-do attitude only extends the misery to others. But what is bad for business may be good for retailers. Mintel’s Cough, Cold, Flu and Allergy Remedies Report 2017 states that the viral spread from ‘presenteeism’ increases demand for products as workers look for ‘crutches’ to help them through current illness and battle off future ailments. Together Health dietician Lola Biggs agrees that it’s the first sneeze in the office which triggers the impulse to seek out remedies. She says that the ‘usual suspects’ vitamin C and zinc are omnipresent throughout the season: “And for good reason! Science strongly backs this duo, especially when taken within 24 hours of the first signs and symptoms of a cold. 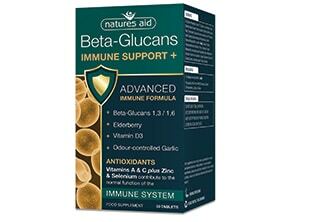 The action of treatment is thought to be through preventing virus replication and switching on our natural defences. 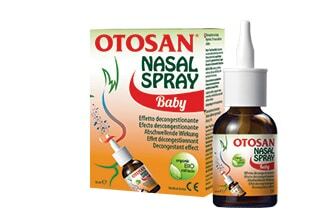 Away from the spluttering cold and flu aisles there are more products which consumers will look to for relief in the coming season. For many, the use of honey may not extend beyond a whisky hot toddy, but its health-giving properties have been appreciated since ancient times. Stone Age cave paintings depict honey being used for medicinal purposes, and it has traditionally been used in the treatment of everything from eye diseases, bronchial asthma, throat infections and tuberculosis, to hepatitis, worm infestation, piles and wound healing. Not only this, but honey’s ingredients are said to have antioxidant, antimicrobial, anti-inflammatory, antiproliferative and antimetastatic effects. the fact that they have to pay for quality. 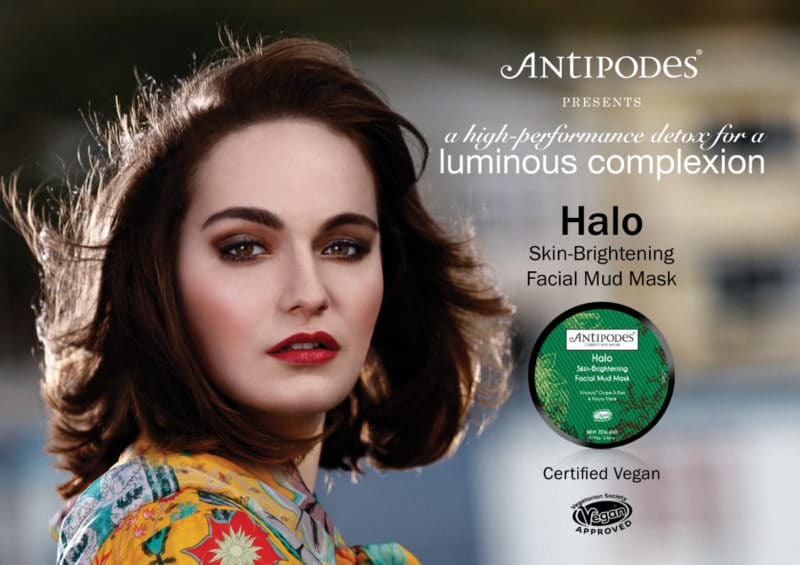 “I would like the halo effect of manuka to pass on to good British raw honey – which is antibacterial too,” says Abbott, who adds that testing and known provenance can only be good for the industry, which is currently swamped by cheap imports. The failure of the British Homeopathic Association (BHA) earlier this year to overturn the NHS’s decision to stop funding homeopathic medicine caused consternation throughout the natural products industry. Expressing disappointment on behalf of the BHA, trustee John Morgan, founder of Helios Homeopathy, says the decision has far-reaching implications: “For many years people have given donations and legacies to support homeopathy in the NHS and the trustees were unanimous in the recommendation to initiate the case. With winter approaching, ‘Of The Earth Superfoods’ Hot Chocolate Maca makes the perfect remedy for those chillier evenings. The mixture of Peruvian cacao powder, banana flakes, lucuma and maca (known as the fountain of youth in its indigenous Peru) makes a deliciously rich, smooth, and creamy hot drink. What’s more, OTE superfoods Hot Chocolate Maca is loaded with essential minerals, flavonoids and antioxidants to help you detoxify, beautify and balance throughout the darker winter months. Simply stir 1-2 tablespoons into a mug of warm milk for a deliciously indulgent hot chocolate with no added sugar. 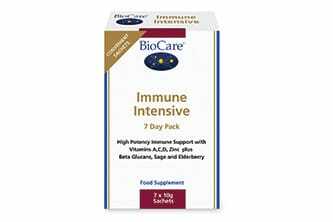 Immune Intensive is a high potency combination of elderberry, sage and beta glucans with vitamin C, vitamin D and Zinc which support a healthy immune system. Combined in a tasty berry base, this powder packs a punch! 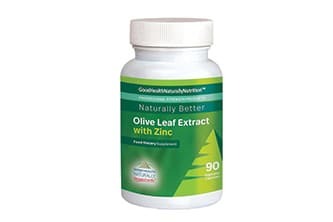 Zinc and vitamins A, C and D all play a role in supporting the immune system and zinc is also important for a healthy respiratory tract. Magnesium helps reduce tiredness and fatigue. Available in handy sachets that can be mixed with liquids for flexibility. 7 days’ supply & suitable for vegetarians. 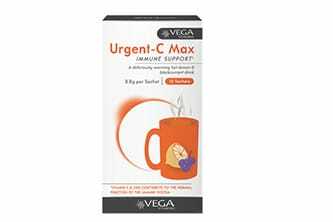 Urgent-C Max from Vega Vitamins is a delicious lemon and blackcurrant drink with honey, bee propolis, beta glucans and elderberry, and vitamin C and zinc to support immunity. Urgent-C Max contains freeze-dried fresh lemons and blackcurrants and can be served hot throughout the autumn and winter months, to help warm and soothe when suffering from cold and flu symptoms – or if we simply need to warm-up! Suitable for adults and children aged 4+, the individual sachets can be added to hot or cold water to provide a soothing drink that helps to support immunity. We are fortunate in the UK to experience four unique seasons. 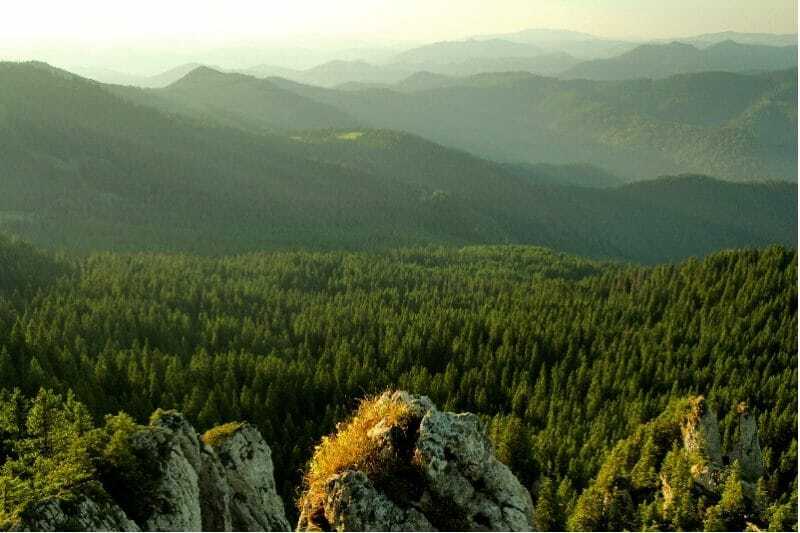 As the season changes, ideally, we should be thinking ahead to adapting our lifestyle, diet and supplements to suit the shorter days and crisper air of the autumn and winter months. Encouraging individuals to prepare their bodies before the winter sets in, should help them to smoothly adapt to the challenges that the new season may hold. 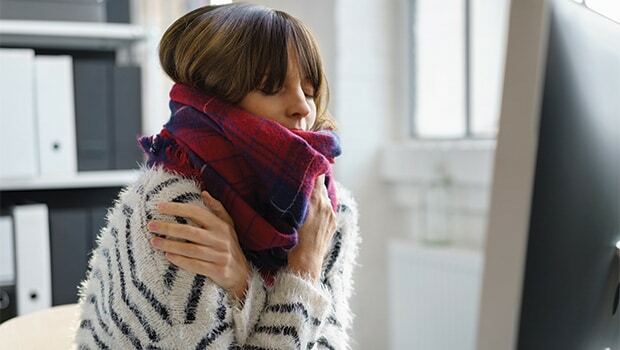 The key to surviving the challenges of winter illnesses is to prepare the gut early for them. 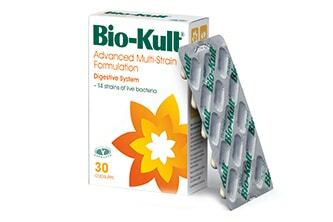 Integral to a gut healing strategy is a high quality daily multi-strain live bacteria supplement, such as Bio-Kult Advanced which contains 14 different strains. This should help to stimulate the immune system,* and improve the function and strength of the body’s defences,* prior to the onset of attacking viruses and then continuing to take them daily over the winter period could help to maintain a healthy gut microbiome. 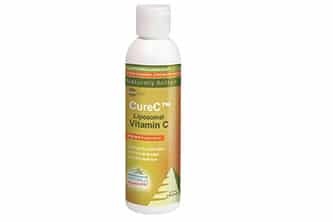 Good Health Naturally CureC™ Liposomal Vitamin C is a high dose nutritional supplement that utilises advanced liposome technology to deliver over 1,000mg of high-quality Vitamin C and 400mg of natural Phosphatidylcholine quickly into the blood stream ensuring maximum bio-availability to help naturally support the normal function immune system, normal psychological function, the reduction of tiredness & fatigue and much more! Propolis is a natural substance collected by honey bees from buds and trees containing tree resin, essential oils, vitamins, minerals and phytonutrients. 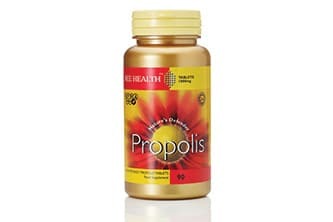 Propolis offers an array of benefits for many ailments and allergies and is one of nature’s richest sources of bioflavonoids for immune support. Bee Health guarantees the bioflavonoids present are naturally occurring flavonoids, with no synthetic substances added. This unique natural product is made in the UK and subject to tests for potency and quality. 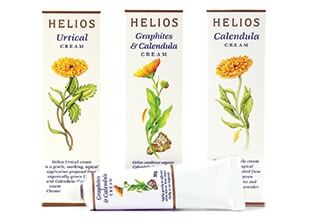 Winter takes it’s toll on our skin but Helios creams offer natural, soothing relief for dry, cracked, chapped and sore skin. Prepared using only the finest natural plant based ingredients, organic wherever possible, Helios creams do not contain lanolin, petroleum derivatives or artificial preservatives, making them gentle enough for the most delicate skin. To find out more about the entire range please contact Helios. 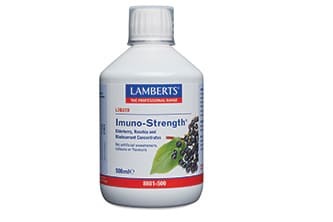 Elderberry, Rosehip and Blackcurrant Concentrates – Imuno-Strength® is a tasty natural blend of elderberry, rosehip and blackcurrant concentrates carefully formulated to retain the nutritive properties of the fruits. These three fruits are all exceptionally rich sources of important compounds called flavonoids, including anthocyanidins that are known antioxidants. To maximise antioxidant defences, plant-derived antioxidants should be incorporated into our regimes. Anthocyanidins are physiologically active in both lipid and aqueous environments in the body, which makes their overall antioxidant properties many times that of vitamin C or vitamin E. Recommend to those 5 years and upwards whose immune system is under pressure and requires a boost. 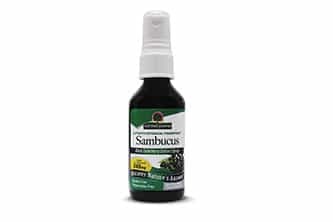 One of nature’s richest sources of natural vitamin C, the inky black elderberry is packed full of anti-viral and anti-inflammatory active ingredients. They contain triterpenes and phenols and are high in both essential oils and volatile oils. Their natural tannins, flavonoids and anthocyanins turn this into a wonder berry for winter. 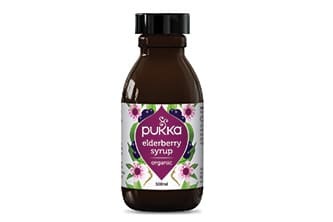 Part of Pukka’s Immunity range, our Elderberry Syrup packs elderberries in a ratio of 6:1 – meaning you get 6 times the concentration of this incredible berry with every dose. That’s 12000mg of fresh berries in every 15ml of syrup. 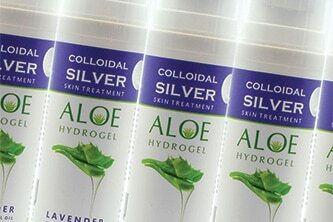 Introducing an exciting new formulation to our range – We are very proud of our new Colloidal Silver ALOE VERA and Lavender Hydrogel. It contains 92% Amber Colloidal Silver and is blended beautifully with a premium quality 10 x concentrated Aloe Vera Juice that leaves a silky smooth, non-sticky film on the skin that protects the Colloidal Silver on the skin surface to optimise effectiveness. Also contains premium quality High altitude essential Lavender oil, known to be beneficial to skin. Use this product for a wide range of bacterial and fungal skin conditions. Wintervits® Immune Booster Age, stress, and poor nutrition can deplete our immune system of its effectiveness. In order to avoid illness, the body needs to be equipped with a whole host of essential micronutrients. Supplements are a great way of safeguarding nutrient intake. 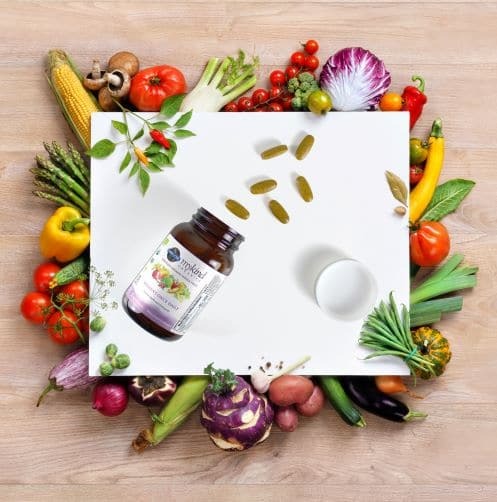 Wintervits® a synergistic blend of vital Vitamins, Minerals and Herbal extracts such as: Vitamin C, Zinc, Maitake mushroom, Astragalus, Rutin and Proplis extract; are well-known for their immune boosting properties. Wintervits® also has the added benefit of Quercetin, which contains powerful antioxidant and anti-inflammatory properties that help support a healthy immune system. 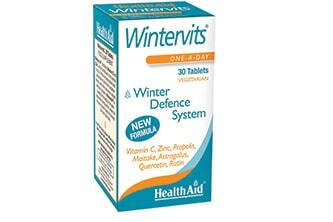 Wintervits® retails at £10.49 for 30 tablets. 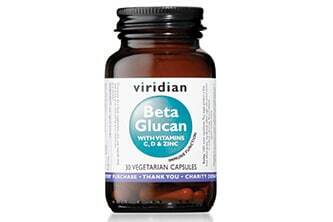 Contact HealthAid Ltd on 020 8426 3400 for purchase and stockist information or visit www.healthaid.co.uk. Containing rosehips and acerola cherry this formulation of the antioxidant Vitamin C has a two stage timed release process. 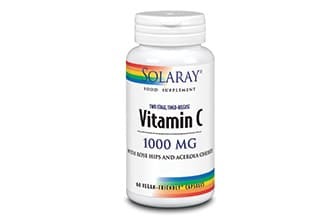 Vitamin C contributes to the normal function of the immune system, collagen formation, contribution to normal energy-yielding metabolism, function of the nervous system, contribution to normal psychological functions, protection of DNA, proteins and lipids from oxidative damage, reduction of tiredness and fatigue and iron absorption. The Garden of Life sprays are the only certified organic spray vitamins offering a more bioavailable format that reaches the bloodstream quicker, therefore being more efficiently absorbed into the bloodstream and utilised by the body. 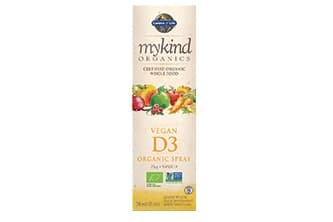 Formulations in spray form bypass the digestive tract, and therefore those who have underlying digestive issues or generally poor absorption can benefit from formulations in sprays. They taste great and are very convenient and easily carried so can be taken quickly and conveniently on the go. For more information or to order visit www.kinetic4health.co.uk or call 08450 725 825. 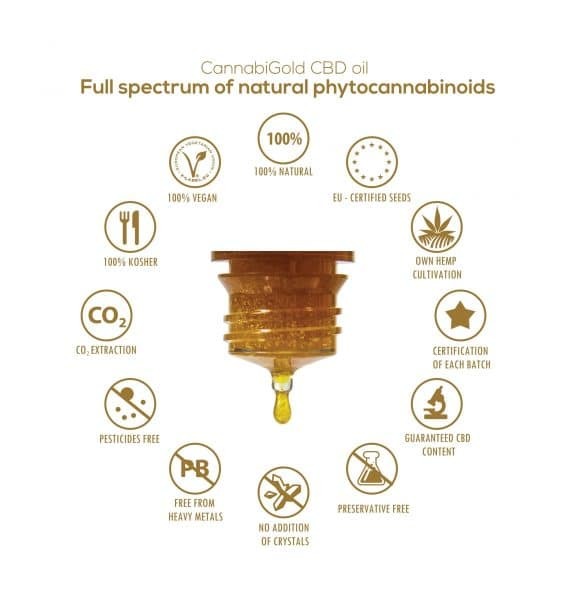 Using a carefully controlled extraction technique, Nature’s Answer have capture the holistic balance of each herb meaning the value is passed on to you, the customer. 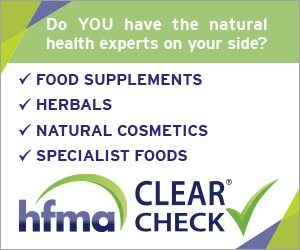 From plant to shelf, you can be assured that you know exactly what’s in the product in your hand, and they guarantee it is authentic, safe, effective, holistically balanced, and of course….Nature’s Answer. For more information or to order visit www.kinetic4health.co.uk or call 08450 725 825.